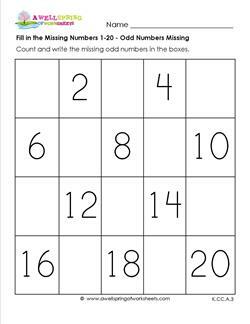 Instead of letting kids dawdle, have a fun little race and see who can fill in the missing number first! But they have to be the correct numbers. Even numbers are my favorites! 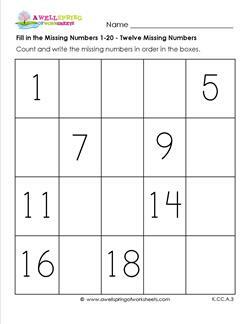 Kids count and fill in the missing number as they go along. They should write neatly, too. Odd numbers are cool! 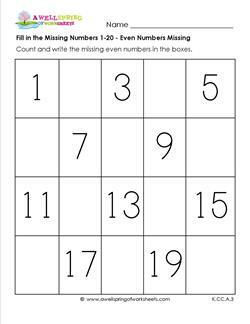 As kids count they should fill in the missing number until they get to the very end of the page. Good luck! 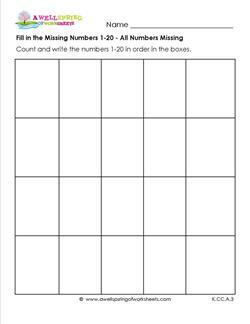 Eight numbers have already been provided in this fill in the number worksheet for 1-20. They help keep kids writing in the right order. 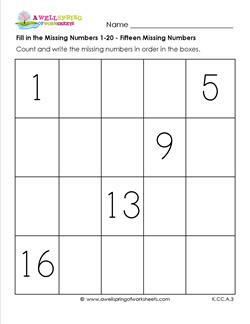 Five numbers are provided in this fill in the missing number worksheet to help guide kids all the way through from 1-20.